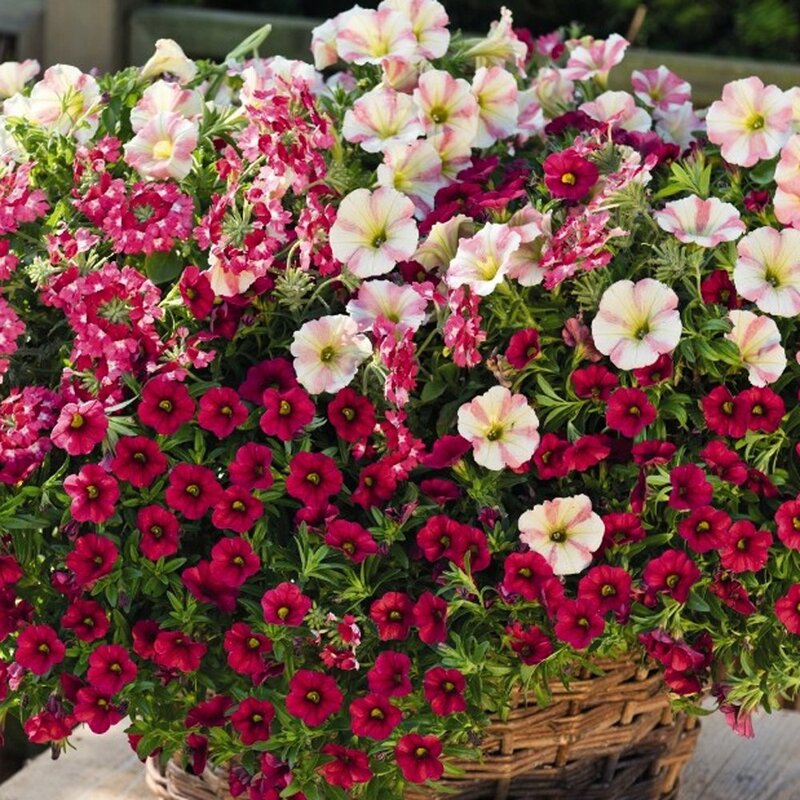 This combo plant brings together shades of red, pink and cream for an explosion of beauty in a pot! If you haven't experienced the heat tolerance and abundance of calibrachoa, petunia and verbena, get ready to be impressed. Choose your favorite container and enjoy. Our Confetti Garden Shocking Sunset plants are grown and shipped in fine quality growing medium and are guaranteed to arrive alive and ready to thrive.